FARMINGDALE, Long Island (WABC) -- Police on Long Island are investigating the robbery of a gas station Friday in Farmingdale. According to Nassau County Police Department, a man went into the Sunoco Gas Station on Fulton Street and purchased a pack of cigarettes, then left. Police said the man returned two minutes later, wearing a black mask and armed with a handgun. He went up to an employee and demanded money from the register. 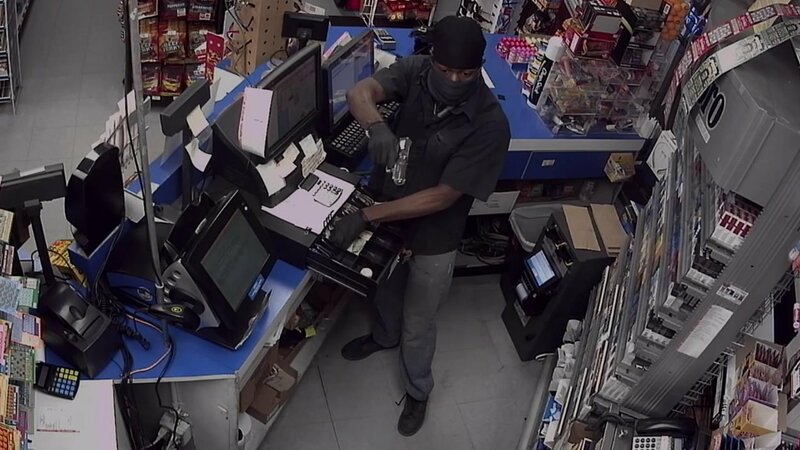 When the victim complied and opened the cash register, police said the subject jumped over the counter and took an undisclosed amount of cash. He fled west through the parking lot. No injuries were reported. The suspect is described as black, 5 feet 10 inches to 5 feet 11 inches tall, in his 20s, with a thin build, wearing a black button down shirt, gray jeans, gray sneakers, gloves, black skull cap and black scarf covering face.